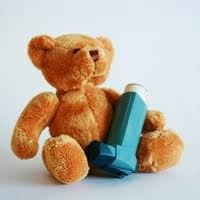 Recently, the number of children who have asthma is growing. What triggers asthma in children and in adults are the same, lung disease that inflames and narrows the airways. These narrow airways will become too sensitive which leads to many symptoms such as normal cough to serious attack which could cause severe breathing interference. When your child gets asthma, the tubes that bring air to the lungs are irritated and swollen which affects your child to breathe. You may also find that your child makes a whistle sound when he or she breathes. It might be difficult to determine this. But there is a great chance that your child may get asthma if he or she coughs frequently for a reason if you, your spouse or even your family has asthma and allergy history. Every child does not show the same symptoms. Even symptoms on the identical child can be different depending on situation and attack. If your child is confirmed to has asthma, you should learn as much as you can about this asthma disease by reading related articles, gathering information, or by asking questions. Know what are the causes and find ways to avoid the causes asthma. Sometimes we as parents not aware that the something we do everyday can cause our children to have asthma. Smoking is one of the examples. 1. Avoid asthma attacks by keeping your child away from the allergens which are the triggers of the disease. Dust, mold, pollen, air pollution, tobacco smoke, strong emotions, sinus infections, spray-on deodorants, cold air, and viral infection are among these allergens. 2. Prevent your child from stuffed animals, carpets and anything that can easily catch dust. 3. Smoke can annoy your child’s respiration, so if you have a fireplace, try to avoid it. 4. If the weather or the air is not good, keep your child indoor. 5. Let your child join in normal activities but not strenuous exercises.